Is it Crazy to Book a Cruise During Hurricane Season? Hurricane. There is simply no bigger fear at sea than one of these swirling storms creating enormous winds and massive waves. Unfortunately, hurricanes can affect much more than just a ship at sea. In fact, some of the greatest damage can come to cruise ports. These towns are built right on the water. The combination of flooding rains, storm surge, and 75+ MPH winds can do serious damage to cruise ports, sometimes closing them for days or week after a storm. With all this to consider, is it crazy to book a cruise that sails during hurricane season? No one books a cruise with the intention of being anywhere near a major storm. Yet, with hurricane season stretching half the year — June 1 through November 30 — it’s hard to book a cruise a time where storms aren’t a risk. The good news is that hurricanes simply aren’t a major risk to your cruise. First, while the season lasts for six months, the severity of hurricane season is limited for most of that time. Storms are most prevalent during a two month period from mid-August through mid-October. Outside of these dates, the risk of a storm is relatively low. Second, hurricane forecasts are getting continually better each year while the technology aboard ships continues to advance as well. That means the chances of being caught by surprise by storm are relatively low. These days, there is advance notice and ships are usually able to steer a route well clear of the weather. After all, the last thing a cruise line wants is the bad notoriety that comes with sailing through hurricane winds. That doesn’t mean, however, that hurricanes can’t interrupt your trip. The biggest threat a hurricane poses is not to you personally on the cruise ship, but in a change in itinerary. With dozens of cruise ports all around the Caribbean being targets for hurricanes, if there is a storm then the chances are high that one or more ports will be affected. That’s to say nothing of a storm simply passing near a port, causing the cruise line to divert around it. It’s not uncommon for cruises to be delayed, skip a port, or have to swap ports in order to avoid hurricanes and tropical storms. So while you aren’t likely to encounter wild weather, your strip would still be impacted. So is it a bad idea to book a cruise during hurricane season? In our opinion, no. The chances of you being caught in a hurricane or tropical storm are very slim, even if traveling during the peak of the season. 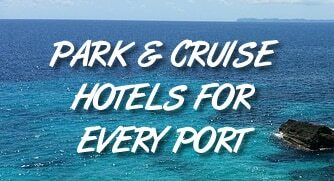 And while a storm could cause a shuffle in your itinerary, the cruise line will still offer up a fun trip, just in unaffected ports of call.